If you suffer from TMJ disorder, you know how awful it can be. Muscle fatigue and spasms not only cause pain in the muscles but can also lead to spasms in the head and neck, migraines and cluster headaches, tooth and facial pain, ear and sinus pain, sleep loss and even anxiety or depression. Worse, many people suffer from this debilitating syndrome and don’t know what is causing the misery and discomfort. In fact, many TMJ sufferers are misdiagnosed or feel they will never live without pain medication again. What Causes TMJ disorder or TMD? Everyone needs to chew, smile and speak, but if your bite is not correct, even the simplest act could be disrupting your life. In chewing, the upper and lower teeth come together, pushing against the bones of the jaw. When the bite is uneven, teeth are missing or misaligned, the muscles of the jaw must work overtime to bring the teeth together. If you clench or grind your teeth, the strain increases. Bad posture, poor ergonomics, emotional stress, head or neck trauma and certain medications can all contribute to jaw joint pain. 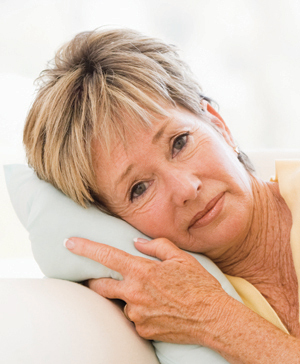 While pain is bad enough, it isn’t always the only result of TMJ Disorder. Many of our patients diagnosed with TMD experience clicking, popping or locking of the jaw joints when they do even simple things, like speak, yawn or laugh. Even eating can become an uncomfortable and embarrassing problem when the jaw makes noise with each chew or it locks when you try to bite into your sandwich. However, it should be again stressed that like most dental diseases, TMD can exist and cause severe dental problems without TMJ symptoms or pain. The National Institute of Health estimates that more than 10 million Americans have problems affecting the jaw joints and muscles, and the Academy of General Dentistry reports that 1 in 8 Americans suffer from headaches. Numerous studies show that approximately 65-75 % of adults have some degenerative change in their TMJ’s, and the risk among females and especially young females is much higher! Statistics like these have inspired us to seek knowledge and answers for over 20 years. Our dentist in Lawrence has treated thousands of patients, and there are thousands more longing to find relief. Can We Help You with Your TMJ Symptoms? When you wake up in the morning, your jaw muscles feel tired and perhaps sore to the touch. You experience pain behind the eyes. Your jaw clicks and pops when you open or close it. Your jaw gets stuck as you open or close. You can see wear, chipping and cracking on your teeth. You have unexplained tooth or facial pain. Your head or scalp feels painful when you touch it. Your ears ache or ring. You have numbness in your fingers or arms. Your dental restorations don’t last as long as they should, especially if crowns and teeth are breaking or don’t feel right.